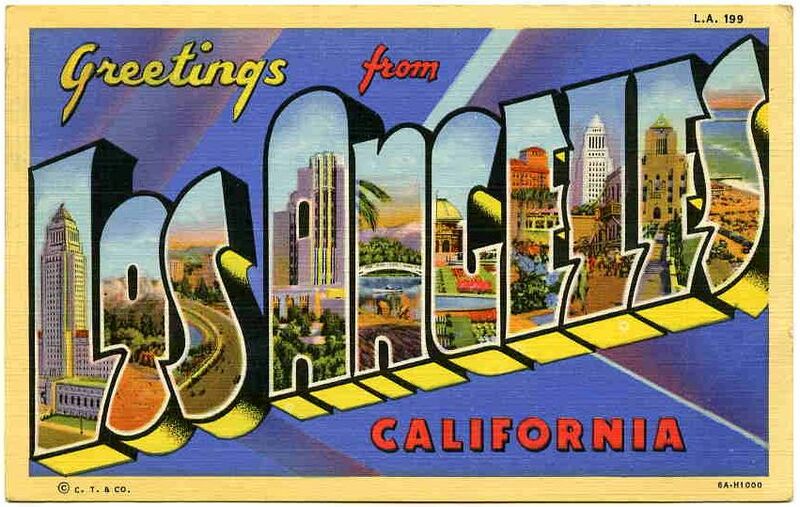 Greetings from Los Angeles, California. Come for the sunshine, stay for the dream that may or may not happen, but feels as if it’s going to happen like … four years in, when you score that big meeting and everyone says, “This is it—don’t blow it! !,” but on your way there there’s a huge backup on the 5 and you’re forty minutes late so they never call you again. Oh, come off it! This is that same Annie Hall Los Angeles that consists of the film studios and the Sunset Strip, leaving out EVERYTHING ELSE. It’s as if they’re still stuck on that Nathanael West image of The Day of the Locust. IMHO, if you miss that big meeting, you should have gotten on the freeway earlier. No biggie! Get there early, have a coffee, arrive relaxed. Leave your Gotham edginess in the trunk of your rental car.